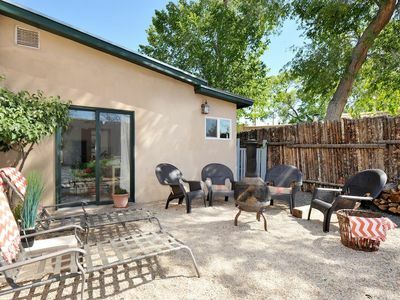 El Corazon de Santa Fe #66 is a conveniently located ground level condominium just three blocks from the historic Santa Fe Plaza and only one block from the Santa Fe Convention Center. 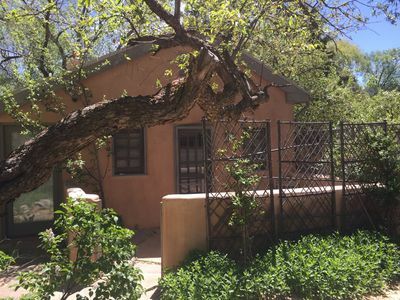 It is easily accessible with accommodations for our ADA guests as well as those who wish to enjoy the many benefits of condo living in the heart of Santa Fe. 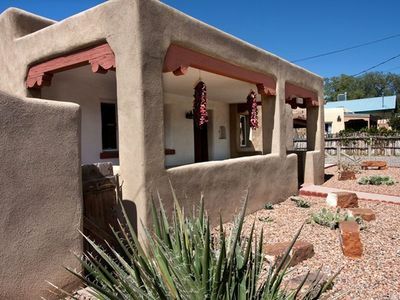 Further, it is walkable to all downtown galleries, museums and restaurants are just an easy stroll from this gated community. 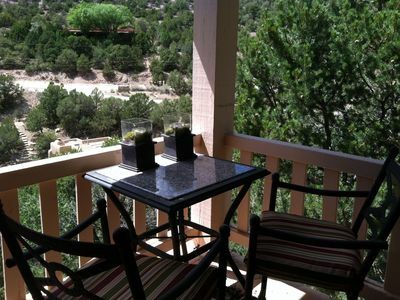 Canyon Road is 0.9 miles, a 5 minute drive or easy walk. 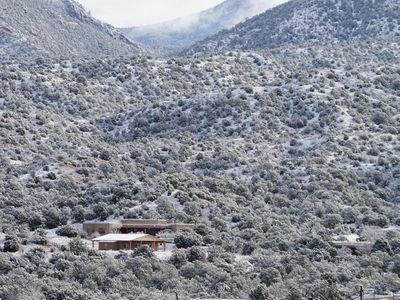 The Opera is a 10 minute drive, casinos 15 minutes, Santa Fe ski area 20-30 minutes, and Taos 90 minutes. 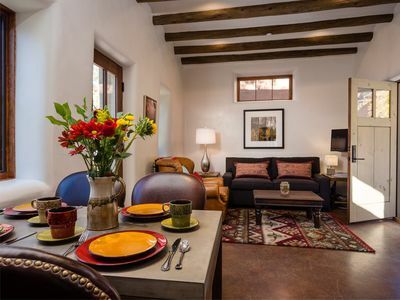 This luxuriously appointed one bedroom unit with traditionally styled Santa Fe Pueblo architecture welcomes guests into a comfortable living and dining area with a kiva fireplace, dining table with seating for 6, comfortable sleeper-sofa, large screen TV, and French doors opening onto a private courtyard. 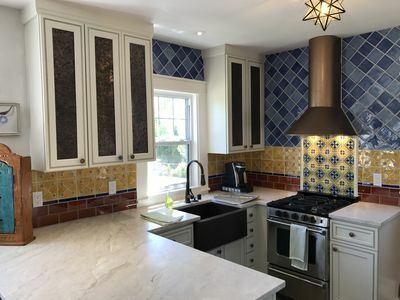 A fully equipped kitchen with top of the line stainless steel appliances, granite counter tops, gourmet cookware, dishes and glassware are available for any occasion. 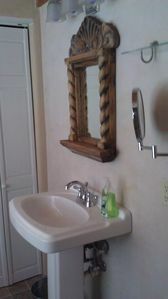 The master bedroom has a king bed, flat screen TV, and a spacious walk-in closet with washer and dryer. 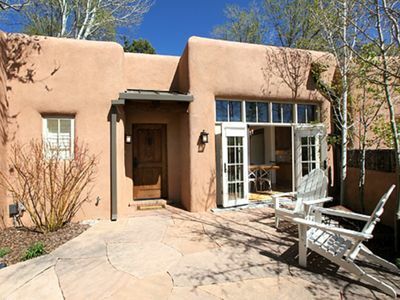 The master bath has a large, floor level walk-in shower with multiple safety and accessibility accommodations. 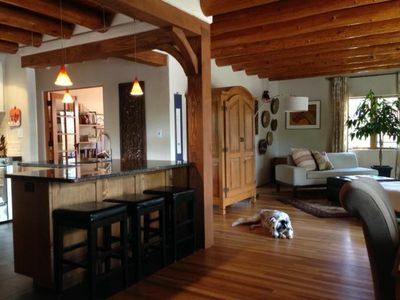 A separate half bath and adjacent office space completes the functionality and convenience of this home. 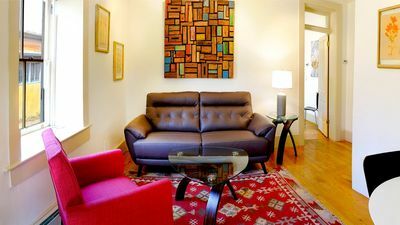 A third large screen TV, desk, office chair, and love seat sofa create a comfortable space for a bit of extra privacy. 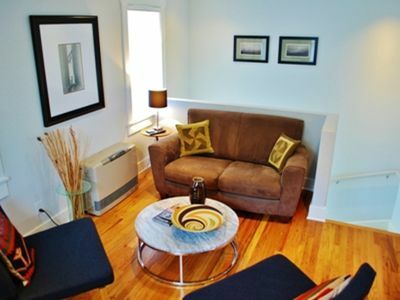 The entire unit is a high speed WiFi zone with cable television. 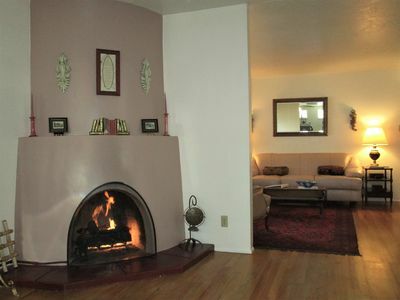 Forced air heating and air conditioning complete your comfort. 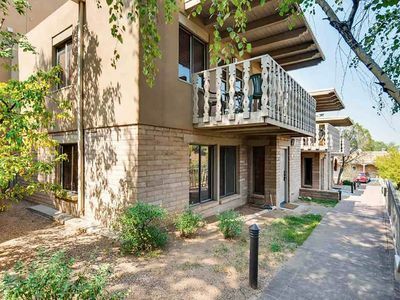 The unit is a just a few steps away from the clubhouse at El Corazon de Santa Fe which offers a lounge area, fitness center, viewing terrace, outdoor patio, fire pit, comfortable seating area, fountains, and a large gas grill. 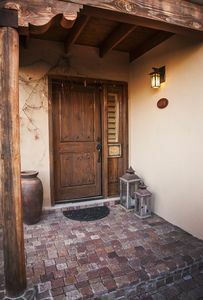 Underground parking and locked, coded gates on the property provide both privacy and security. 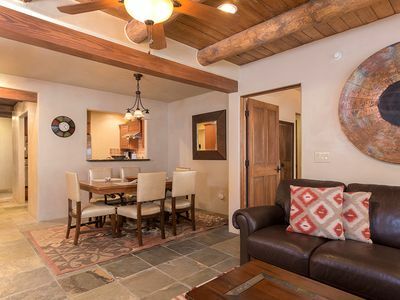 Cable television, wireless internet, and landline with free long distance. 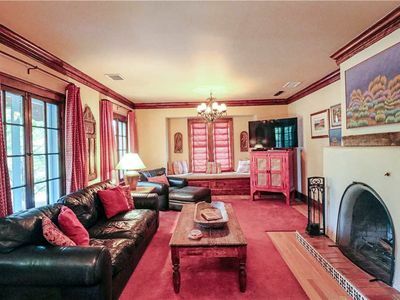 Approximately 1025 square feet. 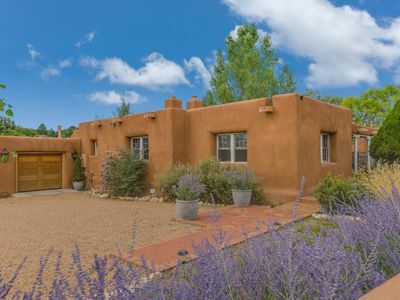 If you are seeking privacy and serenity with luxury and easy access to all Santa Fe has to offer, then this should be your vacation choice. 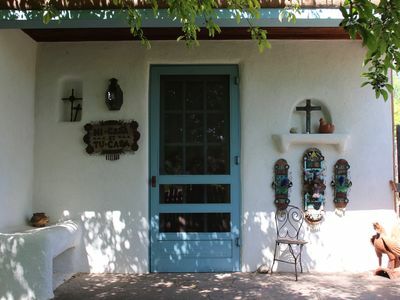 Casa de Madre, luxury casita off Acequia Madre! 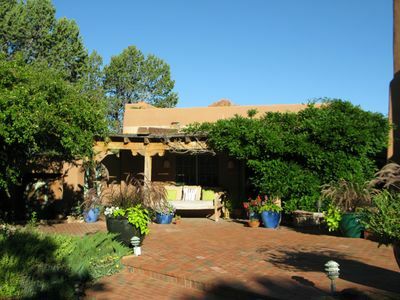 Luxurious Home 2 blocks to Historic Santa Fe Plaza. Read the reviews!